HomeBlogEnvironmentWhich Retail Brands Are Taking Sustainability Seriously? Which Retail Brands Are Taking Sustainability Seriously? Over the last few years, consumers are increasingly looking for sustainable retail brands. In 2017, for example, research site Statistica.com found 55% of people in the UK felt the sustainability of clothing was important while – in the same year – a survey by Unilever found 33% of consumers were choosing brands they believed were socially or environmentally conscious. These results reflected Unilever’s own performance data, which found their most successful brands were those integrating sustainability into their purpose and products, accounting for almost half the company’s global growth in 2015. Given these figures, it’s probably no surprise that Unilever believes sustainability isn’t just a ‘nice-to-have’, but an ‘imperative’. 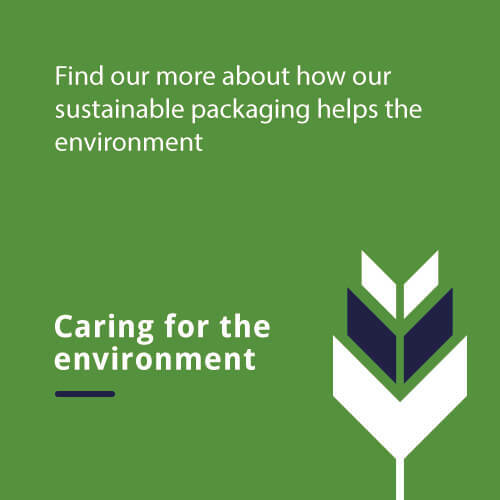 Unilever aren’t the only company who believe in the importance of sustainability. IKEA ensures everything it does has sustainability at its heart, operationally, in its supply chain (50% of the wood it uses comes from sustainable forests and 100% of its cotton from farmers working to Better Cotton Standards) and its use of natural resources (it will be a net energy exporter by 2020 thanks to the 700,000+ solar panels it has powering its stores). By 2030, IKEA wants to be ‘planet positive’ and are looking at environmentally friendly initiatives such as selling solar panels in their stores, renting furniture or buying it back when it’s no longer wanted, and selling food made from insects. The Body Shop has long been known for doing good (it provided the start-up capital for The Big Issue, for example, and its products have never been tested on animals) but it stepped up this commitment in 2016 with its Enrich Not Exploit pledge to protect the planet and its people. This is a plan to create a positive work environment for its employees, support the development of thriving communities wherever it sources products and to develop these products in such a way as to have no negative environmental impact by 2020. The fashion industry has long struggled with how to make itself sustainable in a world where a large percentage of customers want to wear clothes that are fashionable but also affordable. In recent years, there’s been a growth in high-end sustainable brands, but the high street has been slow to catch up. One of the first to look at how they can become more sustainable was H&M, which started a clothing collection scheme in 2013 and now produces ethical collections, including ones made from recycled materials including fishing nets and previously used nylon. As a leading UK supermarket chain, Sainsbury’s has focused on sustainability at home, with their commitment to paying staff a fair wage, and abroad, supporting clean water campaigns and sourcing products ethically across its supply chain. Their commitment is outlined in a set of values that include living healthier lives, sourcing with integrity, respecting the environment, positively impacting the community and creating a great place to work. Last year, they signed the UK Plastics Pact to help tackle plastic waste: by 2025, 100% of their plastic packaging will be reusable, recyclable or compostable. One of the oldest retailers on the high street, Marks and Spencer was also one of the first to put their commitment to sustainability in writing with Plan A in 2007. Plan A sought to address issues of social inequality, the need for healthier lifestyles and the increasing pressures on natural resources. As a result, by 2012, all Marks and Spencer sites and their delivery fleet were carbon neutral. Last year, Marks and Spencer released their latest Plan A which includes a commitment to be a zero-waste company by 2025 and that at least 80% of the raw materials they use will be from sustainable sources. Across the UK, companies from all sectors are being recognised for their commitment to protecting the environment and supporting fair working practices, for their employees and across their supply chains. As more consumers become interested in where the products they buy come from and what companies are doing to protect their staff, this list is likely to grow because, as Unilever pointed out, no business that wants to succeed can afford to not make itself more sustainable in today’s highly competitive market.